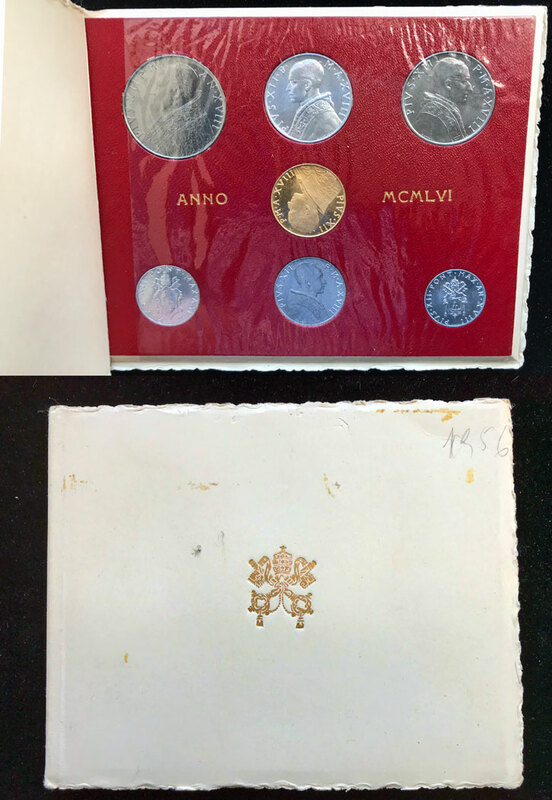 Vatican City 1956 Mint Set of 8 coins, Anno XVIII of Pope Pius XII, including 100 Lire gold in Brilliant Uncirculated condition in original folder. With original cellophane as issued! Low gold coin mintage of 1,000. By Pietro Giampaoli.